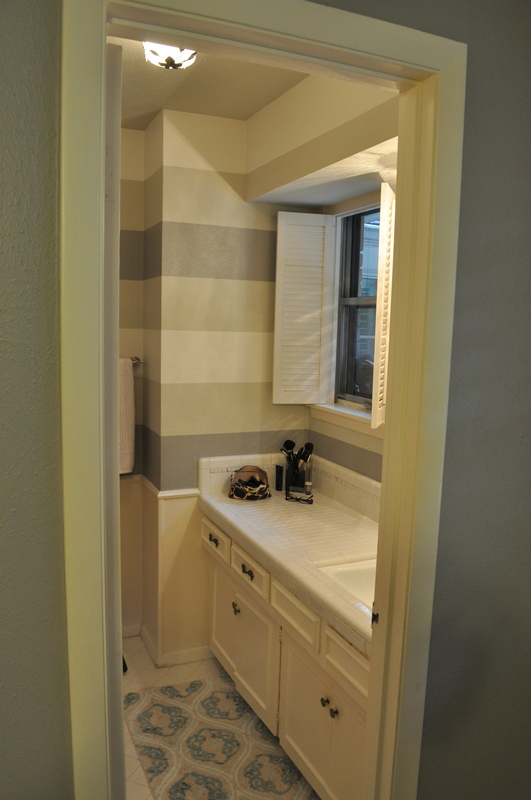 My master bathroom got some love the other weekend and I would love to share the results. Nothing crazy, but some fun flare to help finish the space. This could be a great way (cheap, too) to help your own space. 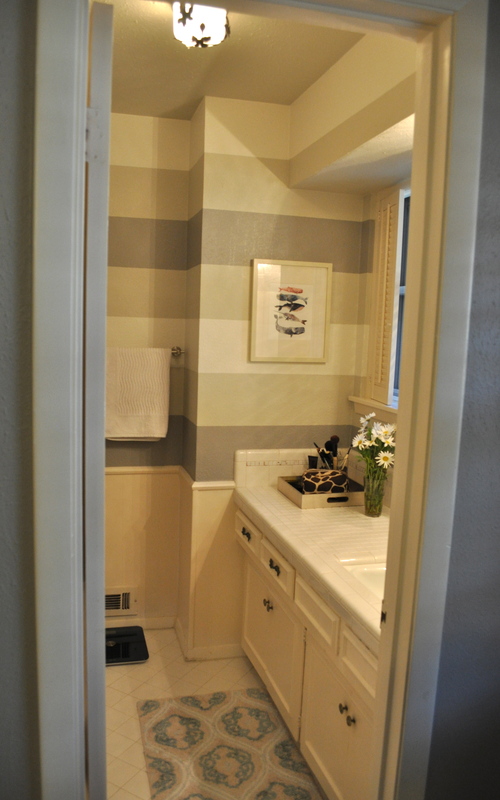 I loved the stripes but I need some art! 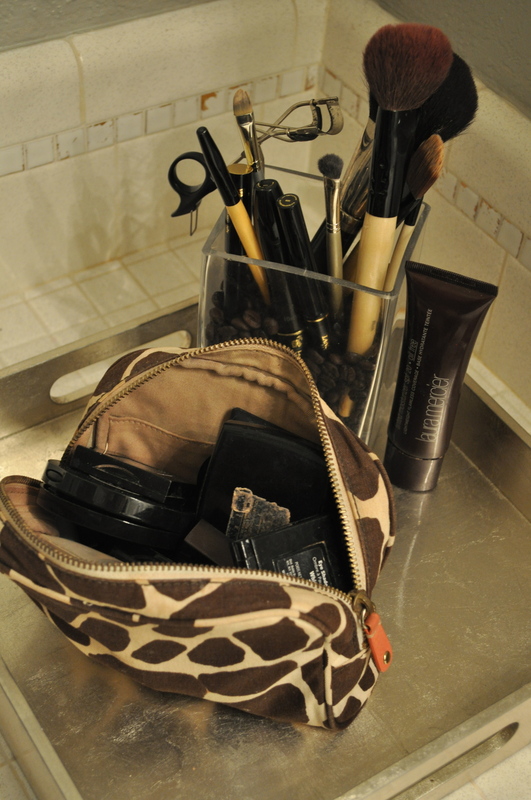 I also wanted a designated space for my makeup brushes and bag because they were always set on the counter. I went to West Elm with a gift certificate and picked up a fun metallic lacquered tray. They come in a bunch of colors and I have a couple around the house that I love! It’s a fun addition to help structure the space. I had a frame laying around, too! I bought this wall art that fit with the color scheme. It may or may not stay in the space but it’s been fun having it in the space for the time being. 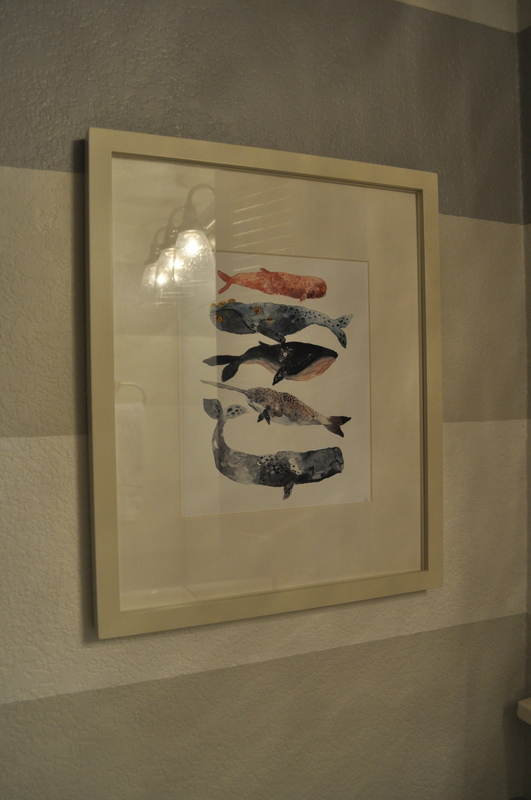 Whales in the bathroom?!? I’m just talking about the watercolor! Ha! These are just two great ways to help evolve a space. A little wall art and a tray can transition a space well!